Dimensions: length 205cm (131+74), width 84cm, height 38cm, weight 20kg. Castore is a refined sunbed "king size". A new concept of a sunbed with an indisputable charm. Comfort and elegance made in Italy to the maximum expression. 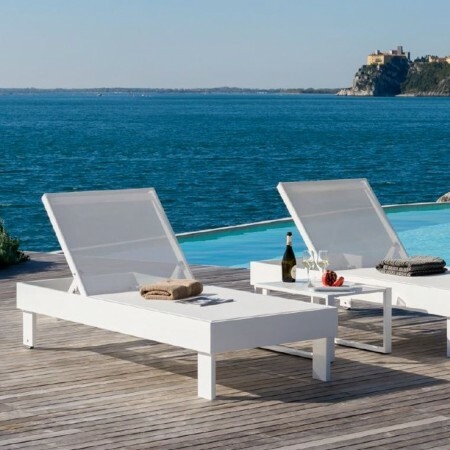 Castore offers a linear and fascinating design, equipped with great strength thanks to the aluminum frame with increased dimensions compared to a classic sunbed. Equipped with wheels to facilitate movement and adjustable backrest in 4 different positions to ensure maximum comfort.